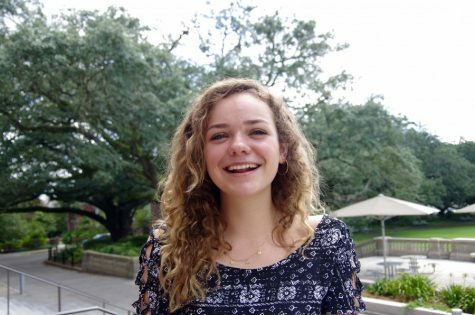 Fiona Grathwohl (she, her, hers) serves as News Editor for The Tulane Hullabaloo. Though born German/American, she grew up moving around often and lived in Europe, various parts of Asia, and the U.S. Fiona last lived in Singapore and considers that home. She joined the Hullabaloo as a reporter during her freshman year and fell in love with writing, journalism and the Hullabaloo staff. On campus, she is also the social media chair for Rotaract and a community engagement advocate at the Center for Public Service. Beyond writing for The Hullabaloo, Fiona loves reading, community service and traveling. In the future, she hopes to be able to combine her love for writing and civic engagement around the world.